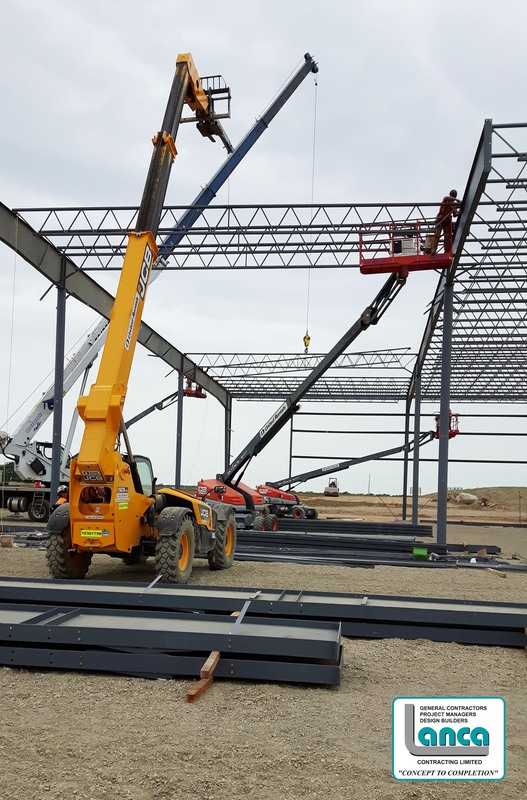 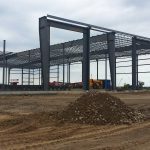 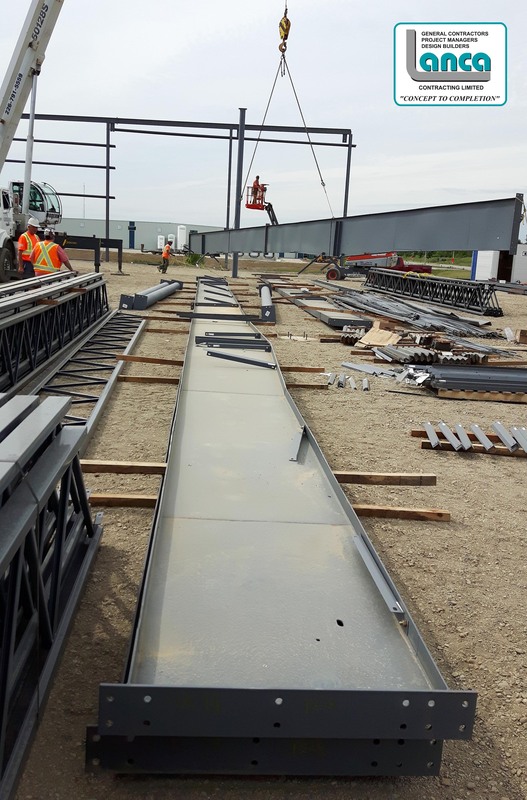 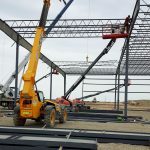 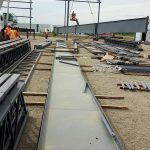 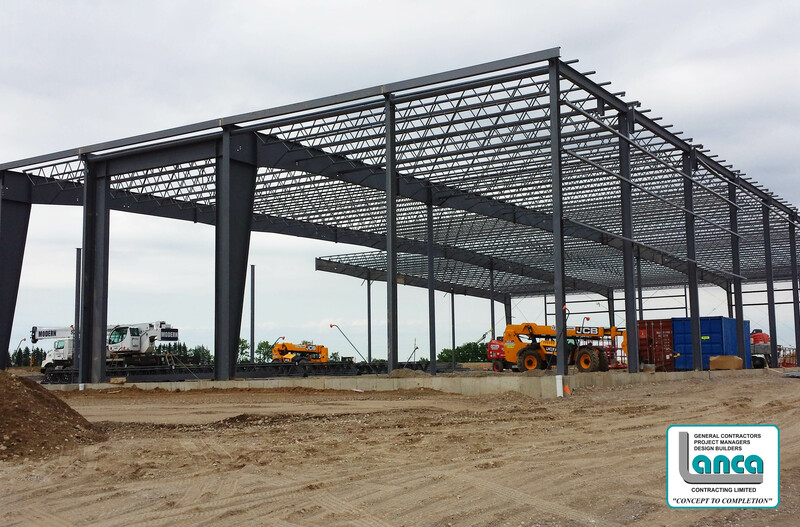 Grandezza Investments Inc. – Steel Erection Has Begun – LANCA Contracting Ltd.
Lanca Contracting Limited has begun steel erection of Grandezza Investments Inc. on 51 Folsetter Drive in County of Brant. 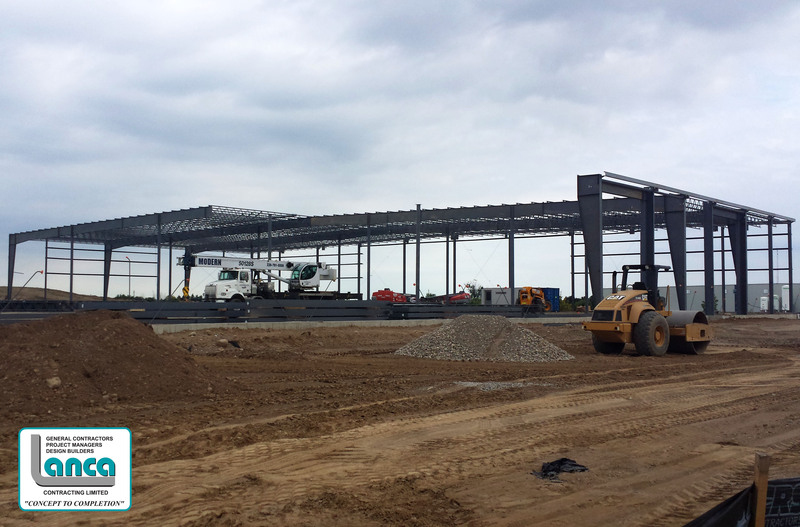 The project is a Phase I, an 80,000 square foot facility with future plans of Phase II a 40,000 square foot addition. 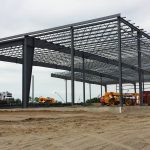 The building is a Pre-Engineered long span Robertson Systems Building with an eave height of 28′ with standing seam metal roof, painted architectural block, tinted reflective curtain wall, and Alucobond panels clad the impressive curved entrances. 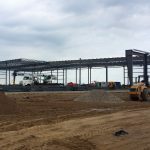 For more information on the project please visit Lanca’s Gallery of Projects Grandezza Investments Inc. 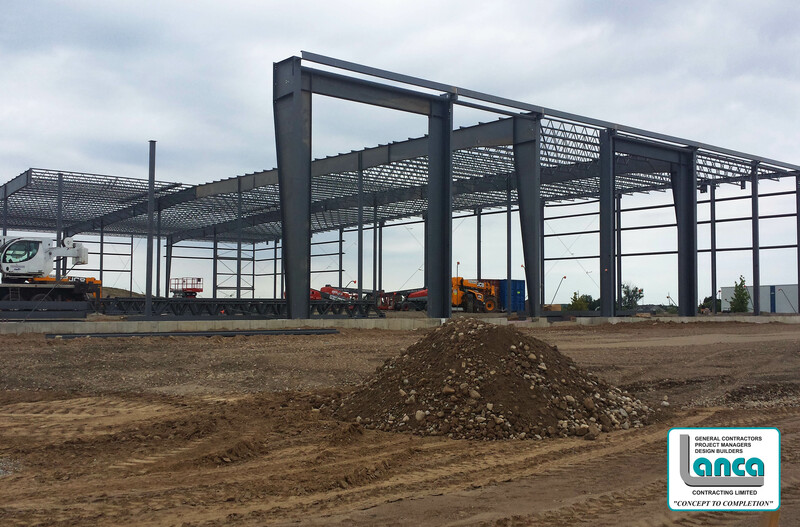 The project is on schedule with estimated completion in September 2016.